More than 2.5 billion people worldwide use email, with a predicted increase to 2.8 billion by next year. Email marketing and list building remains one of the best ways to engage with customers, enhance loyalty, and upsell products. 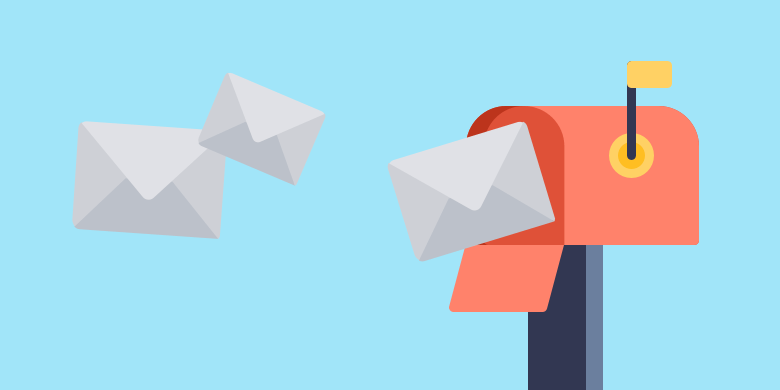 The facts are clear: 72% of customers say their preferred method of communication with brands is via email, while 61% say they like receiving weekly promotional emails. While other marketing strategies can be effective, employing an email list building strategy is an efficient way to initiate the conversion funnel. Unfortunately, email lists deplete by around 22.5% every year as email addresses change and free email accounts are abandoned. That’s why anyone wishing to continue growing their business must consider how to build email lists on a year-round basis. Including a prompt for customers to share your email with friends, family, and colleagues will encourage them to do some of your marketing for you. This is especially true when you send engaging and relevant content their way. A simple, text-based link to ‘Share with Friends’, a subscribe CTA, or social sharing buttons will increase the reach and build your email list with no additional work on your end. Offer a discount code or coupon for your product or service. Give away a free piece of content. Anything you give away should be attractive to your target customer. E-books, videos, or articles are all giveaways that have proven appealing to consumers. An attractive offer contributes immensely to building your email list quickly. It seems obvious, but you’d be surprised at how many businesses miss this opportunity for how to build email lists. Interested visitors to your site click the navigation menu to learn more about your business. Along with including an email signup form on each of your landing pages, inserting a direct link into your menu is an easy way to entice people to opt in for your newsletter without them having to search too hard for it. When done right, popups can be a great source for email list building. A word of warning, though: don’t use popups that lock your entire page or Google will penalize your site. Smaller popup boxes work just as well and will be more effective for your email list building. Include catchy and convincing content, along with powerful CTAs, that tell people what they’re signing up for and why they should do so. Twitter campaigns promoting your discount codes or free content are a necessity. Gated offers on Facebook and LinkedIn that require an email address sign up to receive them should also be implemented. Evan a simple ‘Sign up’ button on your business’ Facebook page will build your email list with users interested in your product or service. Pinterest can also be leveraged by pulling together visual boards of products or offers that require an email signup to access. Reaching people starts with email, so making sure you are both replenishing and building your email list is essential. Equally important is ensuring that the emails you are acquiring are valid. NeverBounce offers unbeatable pricing, accuracy, and turn-around when it comes to email list validation and cleaning. Taking on your email list building from multiple angles will increase your prospects by at least three times and allow you to convert early leads into loyal, return customers.